When have you felt most alive? I’m willing to bet it’s when you’ve been so engrossed, so engaged in some part of life that nothing else mattered in the moment. Perhaps you were rising to some sublime creative challenge or surmounting some difficulty you had no idea you could surmount. How do we feel in such times? The self, with all its complications, preoccupations, and procrastination, is suspended as you become pure awareness and action in times like this. Being frequently engaged and fascinated makes us feel alive. But the opposite to this is a kind of deadness of the soul. Many of us are bored. Boredom, before we know it, will break us. A lack of challenge and excitement leads to a sense that life is meaningless. As long as there is no or little challenge or surprise we disengage, become depressed, no longer feel alive. “The Devil makes work for idle hands” – and unstimulated minds. Without meaning we feel stale and lost. We are here to learn, flourish, work toward our potentials (we have many). We need to feel activated, intrigued, invigorated and enlivened by our days, at least some of the time. In this occasional series I look at what we need as human beings to be happy and healthy. The ‘human givens‘ of what it means to exist in our world. I’ve already looked at, among other needs, how a need for attention – a vital and totally legitimate need – can be subverted to cause us, and others, harm. I return to the same analogy I’ve been pushing throughout the series: You need water, but if your need is too great or if you have never learned to distinguish water from engine oil, then you may ‘drink’ what is poisonous to you. We do this when we instinctively seek to fulfil emotional needs in ways that backfire. Understanding how this happens helps us to see why human beings, both individually and collectively, develop and cause problems. So what about our universal need for creativity and challenge? Well, the first thing to understand is that it varies from person to person. Mine and yours may be really different. Are you a high or low gainer? Positron emission tomography (try keeping your false teeth in when you say that! ), or PET scans, have found that sensation-seeking extroverts have lower levels of arousal in a particular area of their brainstems than more withdrawn, less sensation-seeking introverts. The reticular activating system (RAS) is tuned differently in low gainers (extroverts) versus high gainers (introverts). If your RAS is tuned low, you will get bored easily and seek excitement and sensation because not much is going on inside. But if there is a higher level of RAS arousal in your brainstem, you’ll seek to keep things quiet and calm on the outside. You will want to avoid too much external stimulation because there is more than enough happening inside you. So some people need more external challenge than others. It’s important to understand this within our clients too. We all have some need for creative challenge and excitement, but the intensity of this need, like any need, varies from person to person. 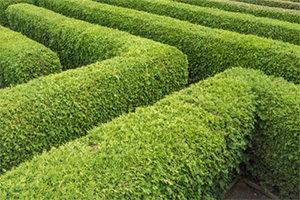 Some people have more of the openness trait and are naturally more attuned to seeking out novelty and challenge. But whether we’re naturally a high gainer or a low gainer, we all need enough creative challenge. And when we don’t have enough, we suffer – and sometimes other people suffer too. Boredom brings with it many problems, but is also symptomatic. Does overstimulation lead to boredom? Notwithstanding all the benefits (and there are many) of electronic information access and connectivity, it may be that all the current weapons of mass distraction and immediacy, social media and all that, may be training our brains to lose the capacity for prolonged and deep focus. When focused fully, the mind can be absorbed and stimulated enough by something as simple as a sunset. But when it can’t help but flit about like an intoxicated blue-bottomed fly from one update to the next, the mind can be bored even amid plenty of stimulation. The boredom comes from within, because, although there is stimulation from without, there is no real meaning being generated. Attention isn’t being extended and fixed toward anything productive. It just slides around aimlessly, like an untethered lifeboat in a storm. Never have we had so much access to experience, information, and each other. Yet somehow boredom seems to be increasing – especially in the young. So what can a lack of meaningful creative challenge do to people? This is not to say that all these activities are necessarily or wholly caused by the unfulfilled need for challenge or excitement – but they can be. There certainly appears to be a link between impulsivity (including gambling and other risk taking) and proneness to boredom. And if we have failed to observe what we are like we may never spot the pattern in ourselves. We may assume we (or our clients) gamble for ‘deeper’ reasons. That’s why it’s so important to know how our primal basic needs drive our behaviour: so that we can avoid destructive blindness when it comes to our own and our clients’ actions. Always ask: What emotional need might this action be trying to fulfil? Psychology didn’t just develop to understand other people. When we assume we are doing something for one reason but really there is another reason driving our behaviour, we are in effect being tyrannized by our own psychology. 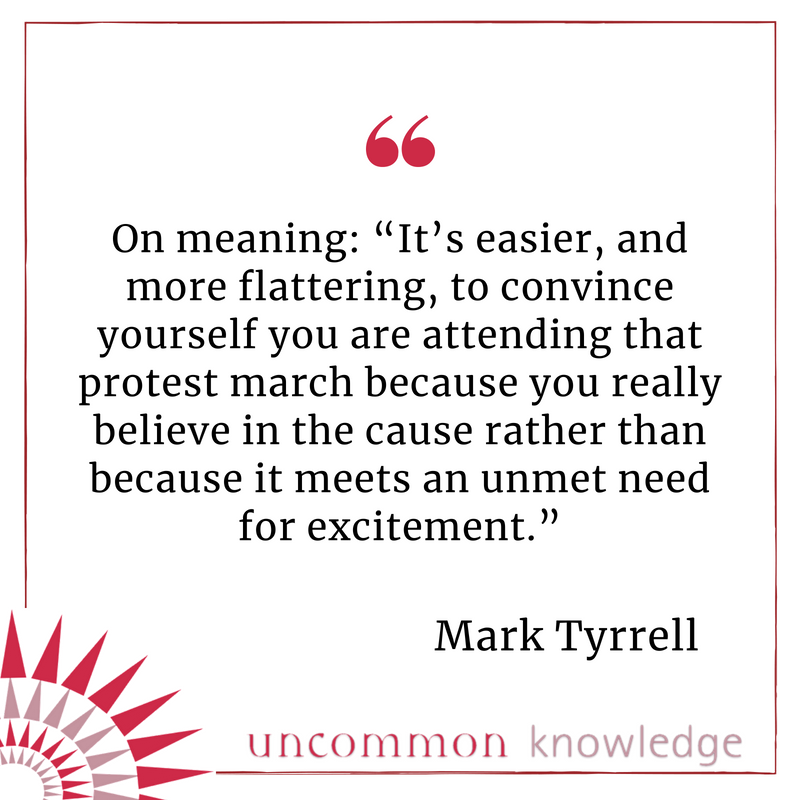 It’s easier, and more flattering, to convince yourself you are attending that protest march because you really believe in the cause rather than because it meets (or seems to meet) an unmet need for excitement (and attention – I address this in some depth in Part One: The Dark Side of the Need for Attention). If I am outraged or join a marauding mob essentially because I am bored in life, but I believe that I am doing the collective marauding for other reasons (after all, it takes some integrity and courage to look at ourselves squarely and to see our real motivations), then I am taking several large leaps away from self-knowledge. The problem with being disconnected from our own motivations is that we cease to be productive and measured in the way we live our lives. We are led around by the nose, so to speak. We pursue anything that seems to meet an immediate emotional need, and avoid anything (even if it is vital) that doesn’t seem to meet an immediate emotional need. But if we can meet our needs for challenge, excitement and creative effort productively, then we don’t need to blindly seek a destructive challenge (such as a fight) or seek out needless risk. But there’s more. When not properly challenged, the creative drive can cause us still other problems – some of which can tip us into depression. Imagination: a tool for self-harm? “I don’t have the time to worry!” I heard a woman say recently. And it got me thinking. What is worry? Well, in essence, it’s a use – often an uncontrolled use – of the imagination. You need creativity to worry. And after seeing thousands of clients over the decades, believe me when I say that people can find incredibly creative ways of worrying. I’ve seen people create scary, depressing inner scenarios about stuff that I wouldn’t even have had the imagination to worry about! Yes, at the far end of the spectrum, the imagination can become so out of control, so intense, that people even hallucinate. We all do this during dream sleep or during extreme sensory deprivation. But those prone to psychosis may live within their uncontrollable created realities for extended periods. We can see psychosis, then, as extreme, out-of-control creativity. But, short of psychosis, many of us do spend too much time focusing on what we imagine, sometimes to the point that the line between our imaginings and our actual observations of external reality becomes blurred. These imaginings can be extremely scary or depressing. And we know that worrying or negative rumination drives and maintains depression. We might imagine others don’t like us or that we have done something wrong, or paint bleak futures and generally follow the dictates of our created inner constructs, all at the expense of just looking outward. One task of a practitioner is to help people use their imagination more productively. Even when people ruminate excessively, if they do so with hope they are less likely to be depressed by their imaginings. But untamed imagination or a failure to find creative meaning can lead to even worse consequences. Searingly clever Nathan Freudenthal Leopold Jr. apparently mastered 27 foreign languages. But along with fellow wealthy student Richard Albert Loeb, he murdered 14-year-old Robert Franks in 1924. Their motive? Creative challenge. To commit ‘the perfect murder’. More recently, British serial killer Joanna Dennehy, supported by her besotted 7-foot-3 boyfriend Gary Stretch (yes, fact is often weirder than fiction! ), said she killed to “see how it would feel”, adding that murder got “moreish” and she “got a taste for it”. Then there was the case of sadistic killer Mark Riebe, who confessed to killing for kicks, and many other cases besides. Can I do this? Is it possible? Will I get away with it? Yes, these are extreme examples that represent a tiny minority of offenders, but the same drive to cause trouble for the apparent completion of a need for excitement or creative challenge can also be seen in much lesser, but still destructive, actions. Can I make this person cry? Can I ruin this oh so pleasant meal for everyone by manufacturing a complaint about it? Can I start a row with my spouse? The need for excitement can smuggle itself, well disguised, into many areas of life. As of course can the need for attention. You might say being driven to kill as a way of expressing creativity is the exclusive realm of the rare malignant psychopath. Yet millions of non-psychopaths have killed throughout history for created ideologies. Someone creates the ideology, then others become the avatar for or infected carrier of that ideology. Herein lies the power of these ideologies: Their carriers activate its patterns, however destructive. And how many millions have been crushed under the creative tyranny of visionary utopianists? The need to create is indiscriminate, because creation is deceptively close to destruction – at least among humans. We seem to be the only species with the creativity to kill for sport or ideology. If we don’t create something good, we may be driven to create discord, mayhem or, at the extreme end of the spectrum, murder. Make no mistake, it could happen to you or I – given the right (or wrong) circumstances. How do your clients meet their needs for challenge and creative outlet? What are they working towards? If we don’t find creative meaning, it will find us. But will it really be creative? The creative impulse is too easily mimicked by its evil twin, the destructive drive. For more therapy techniques, as well as over 45 live client session videos, join us inside Uncommon Practitioners TV. You can read more about the online learning platform here and sign up to be notified when booking is open. See Howard, P. J., Ph.D., The owner’s manual for the brain. pp. 25–26, 726. GA: Bard Press, 1994, 2000. See also Eysenck, H. J., The biological basis of personality. Springfield, IL: Thomas, 1967. See Carr, N., The shallows: What the internet is doing to our brains. NY: W. W. Norton & Company, 2010. See Solzhenitsyn, A., The Gulag Archipelago. Paris, France: Éditions du Seuil, 1973.